However, they have less faith in those agencies' motivation and competence to address the problem, placing greater trust in scientists and environmental groups to develop effective and lasting solutions. The results were among the findings of a Europe-wide study which asked more than 1,100 members of the general public about their attitudes to marine litter. It showed more than 95 per cent of people reported having seen litter when they visited the coast, and such experiences were associated with higher concern and a willingness to adapt personal behaviour to address the problem. There was also growing appreciation and concern about the threat litter poses to wildlife within the marine environment, vastly outweighing other fears such as the impact on tourism and the fishing and shipping industries. Direct releases into the sea and at the coast were perceived to be more likely routes for waste to enter the marine environment than overflows from water treatment or landfill sites. And when asked about the key factors contributing to the problem, people attributed it predominantly to the use of plastic in products and packaging, human behaviour when disposing of litter, and the single use nature of plastics. 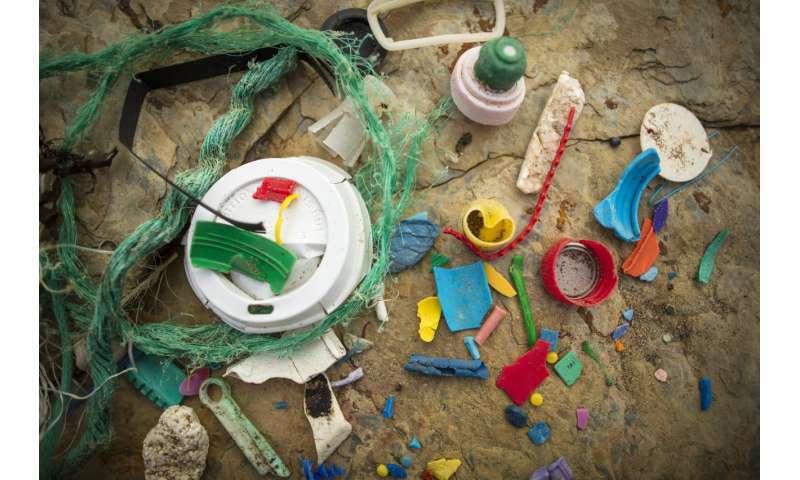 The research, published in Marine Pollution Bulletin, is the first European public survey to focus solely on marine litter and people's attitudes towards it. Dr. Sabine Pahl, Associate Professor (Reader) in the University of Plymouth's School of Psychology, is the study's corresponding author. She said: "Marine litter is an issue without borders. But human behaviour in its many forms is the sole source of the problem, and changing perceptions and behaviour is key to preventing litter from continuing to escape into the natural environment. This research gives us useful insights so that we can attempt to motivate action on land that makes a positive change to our coastlines and oceans now and in the future." Professor Richard Thompson OBE, Head of the University's International Marine Litter Research Unit, also contributed to the research. He added: "At a time when there is a broad commitment to address this global crisis, this research presents an interesting conundrum. It is encouraging to see there is growing public awareness of the marine litter problem, but there are clearly challenges to be overcome in convincing people that we all need to be part of the solution. There needs to be an holistic approach which includes governments and industry, scientists and the public, and this research is a useful step in finding ways to communicate that more widely."